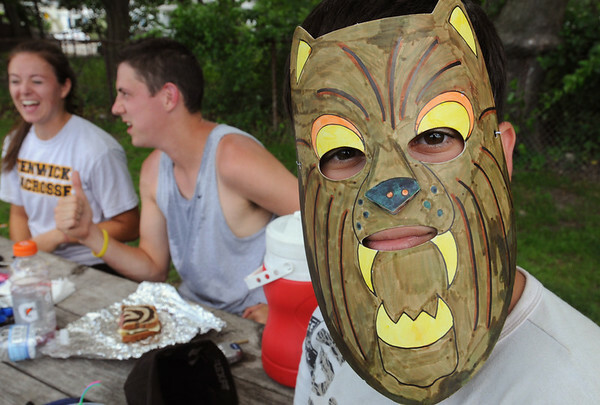 Gabe Malta, 12, wears his just completed animal mask which he made during the playground program run by the Peabody Rec department at Connolly Park on Thursday. The animal themed craft coincides with the Curious Creatures presentation on Friday. Photo by Ken Yuszkus/Salem News, Thursday, July 7, 2011.